This volume is part of the recent interest in the study of religion and popular media culture (cinema in particular), but it strongly differs from most of this work in this maturing discipline. Contrary to most other edited volumes and monographs on film and religion, Moralizing Cinema will not focus upon films (cf. 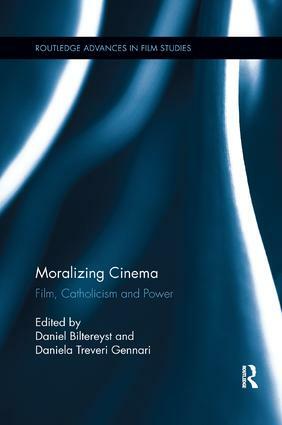 the representation of biblical figures, religious themes in films, the fidelity question in movies), but rather look beyond the film text, content or aesthetics, by concentrating on the cinema-related actions, strategies and policies developed by the Catholic Church and Catholic organizations in order to influence cinema. Whereas the key role of Catholics in cinema has been well studied in the USA (cf. literature on the Legion of Decency and on the Catholic influenced Production Code Administration), the issue remains unexplored for other parts of the world. The book includes case studies on Argentina, Belgium, France, Ireland, Italy, Luxemburg, the Netherlands, and the USA.